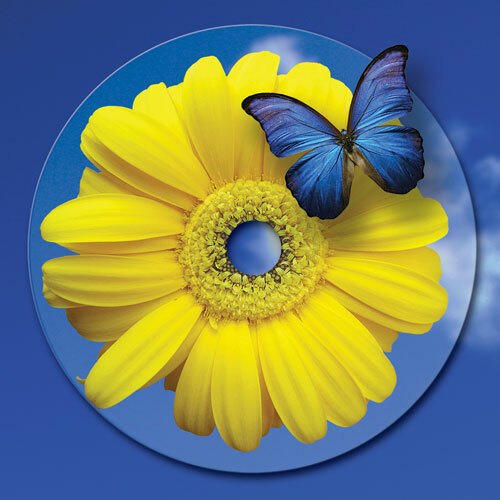 The best duplicated discs you’ll find anywhere – we use top-quality professional duplicator CDRs and DVDRs and…. Our stunning disc print is the hot new thermal retransfer (Everest), a quantum leap in disc printing technology. Waterproof, brilliant color, indelible, UV stable (won’t fade), nearly indestructible, the image is literally fused to the disc. There’s nothing like it. 160 lines per inch, a true paradigm shift. Everest blows away traditional screen printing (90 LPI), and eclipses magazine print standards (150 LPI), delivering unequaled CD printing quality. It produces intense solids, more vibrant colors, and increased clarity and sharpness of image and enhanced color management and color matching. The patented technology gives a depth to the images not achievable with other printing methods. It also won’t scratch off—you’ll ruin the disc before you can scratch the label. 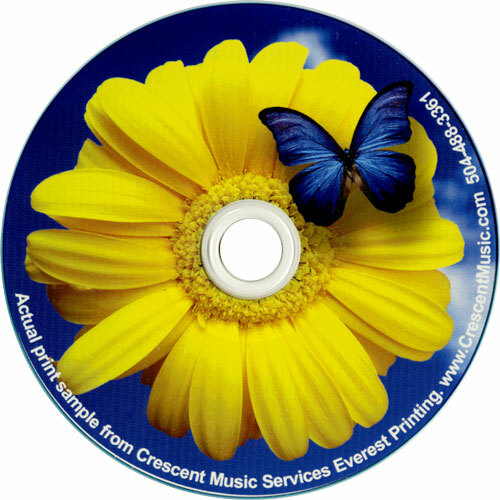 This enables CDRs and DVDRs to now be used for commercial distribution because Everest printed discs can withstand the rigors of day-to-day consumer handling. WE DO NOT DUPLICATE TO CUSTOMER SUPPLIED MEDIA. Typical turn time: 2-7 working days – subject to job specifications. Faster turns available. If you supply your own design files they must be production ready and to spec. Please refer to our templates page. If they are not final or in another format, call to discuss whether we can finish them for you (depends on software and other factors). Usually it’s easier, faster and cheaper to let Diana handle the design from the start. or call Diana at 504-264-3321. This entry was posted in Products and tagged cd duplication, CD Shortruns, Disc Duplication, dvd duplication, DVD Shortruns, New Orleans CD Duplication, Short runs. Bookmark the permalink.